What’s going on in the industry? What new techniques have emerged recently? What insights, tools, tips and tricks is the web design community talking about? Anselm Hannemann is collecting everything that popped up over the last week in his web development reading list so that you don’t miss out on anything. The result is a carefully curated list of articles and resources that are worth taking a closer look at. — Ed. Winter isn’t here yet, instead as you’re reading this, I’m out for another biking session in the mountains today. You might already have noticed how important nature is to me. So this week, seeing the international climate conference in Paris not aiming for an ambitious goal, a reader sent me this great article in which he questions what we as people in the tech industry can personally do against global warming. If you’re caring only a bit about this, read it and think about it. Have a great week and try out some of the amazing web development stuff I collected for you this week. Big news from Adobe: they rolled out updates for Photoshop and Illustrator. In Photoshop, you can now import and export SVG and asset export got an upgrade, too. Illustrator got better SVG export and a new shaper tool. And even bigger news: the Edge tools and services (Edge Animate, Reflow and Inspect) will no longer be developed. Instead, they renamed Flash Pro to Animate CC, with plans to integrate Edge Animate’s features into the new tool in the future. Besides that, Adobe plans to bring Dreamweaver back to life, also integrating Brackets into it and de-cluttering the software. As announced earlier this year, Apple finally open sourced its programming language Swift. You can get the code on Github and find all information on the new website. Since yesterday, Let’s Encrypt is in public beta. So if you have a virtual server, you can give it a try by following this guide. My hoster here in Germany will deploy it today, and I hope a lot of other hosting companies will follow soon. 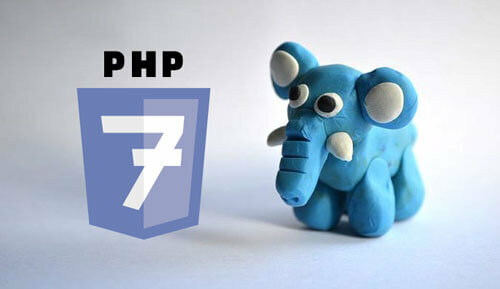 PHP 7.0 has finally been released this week. If you aren’t familiar with its new features yet, this guide will tell you more. A demo explains why browsers show this “annoying” message when you go into fullscreen mode. It’s there to let people detect phishing attacks. Heydon Pickering shows how to get a clean flexbox grid that doesn’t look bad in the last row. “As a leader, your goal should always be to build structures and processes that don’t depend on you and ideally don’t need you.” says Adam Pisoni in his great article on how to scale yourself as a technology leader. Care about the environment? This week Elon Musk held a talk to students in Paris in which he reflected on how we can reduce carbon emissions. It’s interesting to read this different opinion on the topic, especially from someone who clearly knows how companies roll. Worth reading.